Hello, Wonderful and Send a Unicorn are online platforms for content creators to come together and reach out to the masses with their creativity through crafts, playful products and everyday fun ideas for kids and adults. Though the portals are present on most social media platforms, the Founder, Agnes Hsu currently concentrates more on Facebook. Over the course of 3 years, Hello, Wonderful has grown and now has over 400k followers on their page with over 200 videos created so far. Send a Unicorn deals with fun goodies for kids themed after ‘Unicorn’. Send a Unicorn’s page on Facebook goes by the name Rainbows and Unicorns with a little more than 73K followers today. Though both the pages have a large amount of followers and likes, the process of making videos got tougher and tougher for Agnes. She faced two major challenges; one, she wanted a tool that would make creating social media videos and adding text on videos feasible as a one stop process. Secondly, improved engagement on the videos created, from the established large audience already following these pages. Typito met with her expectations with its easy customisable text options and aspect ratio formats available. In text addition, she found simple text options and multiple motion graphic templates to choose from. 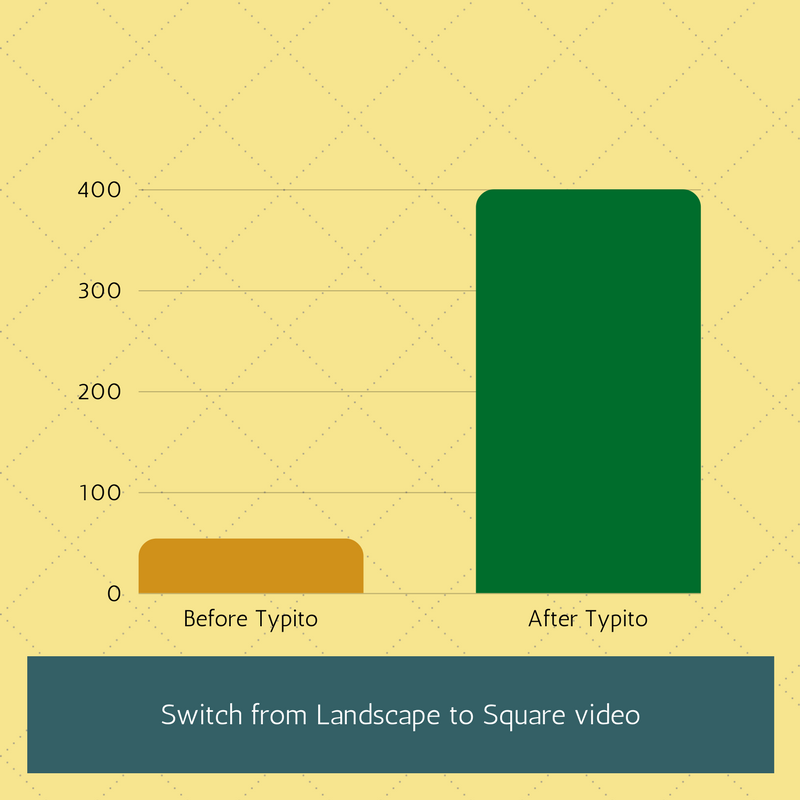 Typito also provided her with two variations of aspect ratio formats – Square Simple and Square Letterbox. Square Simple highlights the square frame at the centre while cropping out the sides while Square Letterbox retains the full video with the help of letterboxes at the top and bottom of the frame. In addition to that, speed up/down capability for clips helped Agnes upload her raw footages on Typito and start cutting, speeding up and stitching – all in one place. For this case study, we’ve picked two of her videos to explain the results. An old landscape video recreated in the Square Letterbox format for social media and a brand new video created on Typito. Here is the original landscape video as published in August 2017. This video has 53K views till date. All of this can be achieved within 10 minutes with Typito’s editing experience. Here’s the second video created for her page, ‘Rainbows and Unicorns’. 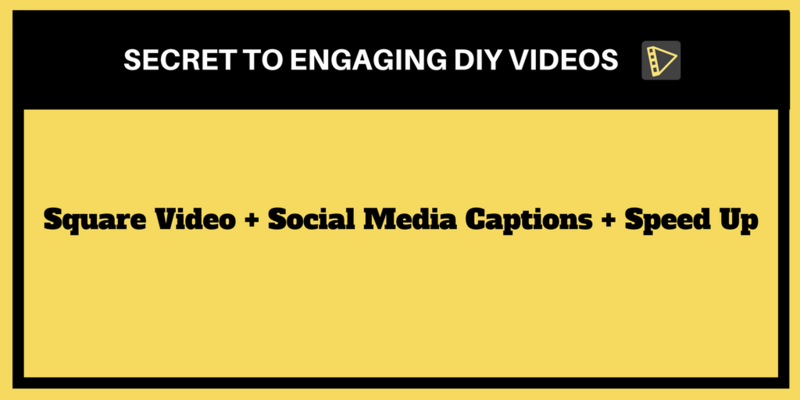 Check out this infographic that will take you through the steps to create DIY videos for social media just like Agnes. The Square Letterbox video earned 263K views in 2 months. The secret formula worked well for Agnes and both her pages. Square Letterbox helped add text to the video without interfering with the video content. Placing social media captions, CTA’s on the video can affect the video otherwise. A video with 54K views shot up to 5x more than the total following of the page in less than 2 months. 590 shares shot up to 2.7k with just a few changes in the presentation of the video for social media. Typito is a tool for everyone irrespective of whether they’re professionals or new to video making. Video editing process can be now cut down to 10 minutes with Typito. The formula mentioned above for social media videos can be achieved from one video editing tool itself. To create awesome DIY videos, Typito is the key as it helps you with all the features you’re looking out for. The easy usability and user-friendly interface makes Typito a favourite to many video creators. From uploading your first media file to publishing it on Facebook and YouTube, Typito takes care of everything. Agnes creates 4-5 videos a month and is happy with Typito. 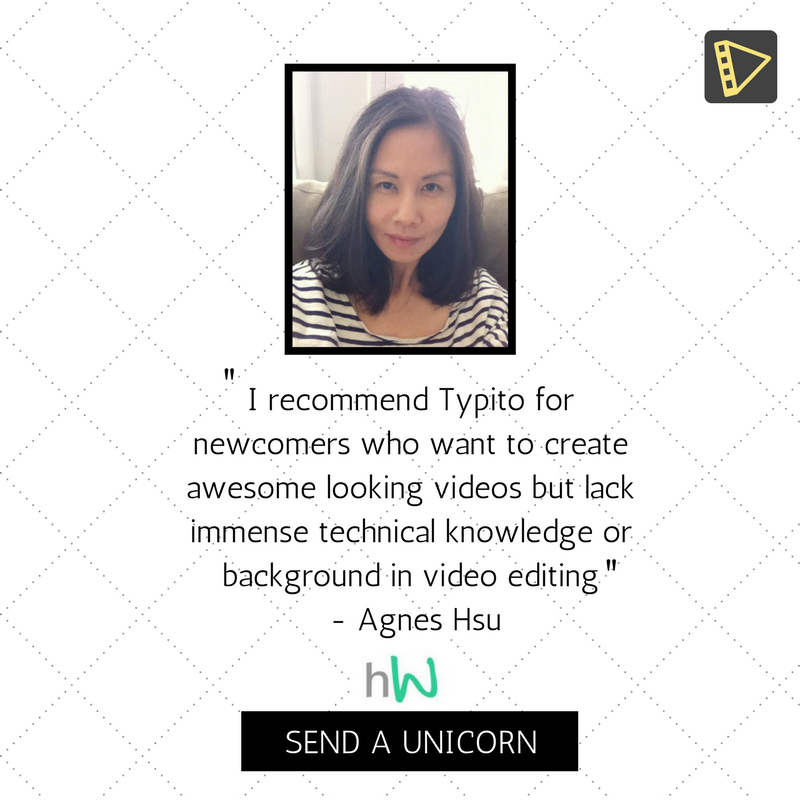 Agnes shows her love for experiments with every video created on Typito. And what helps her with this are the text templates available on Typito.